University of California, Berkeley's Boalt Hall School of Law, J.D. 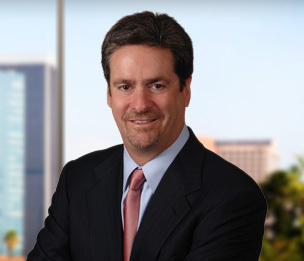 Tom Cleary is a member of Dykema's Corporate Finance Practice Group, and is resident in its Los Angeles office. Tom has extensive experience in mergers, acquisitions and divestitures and in public and private offerings of equity and debt securities, and represents a number of well-known buyout, mezzanine, venture capital and other private equity financing sources. Tom has also acted as outside corporate and securities counsel to various public and private issuers, including an array of high technology, aerospace and defense, e-commerce, food service and consumer products companies, toy manufacturers, and clothing retailers. From 2005 to 2013, Tom served as a director and the secretary of the Los Angeles Chapter of the Association for Corporate Growth, the premier global organization for professionals involved in corporate growth, corporate development, and mergers and acquisitions.